Ryan has been an "official Detroiter" since 2012 when he purchased his home in Lafayette Park, but his love for the city goes much further back. The city of Detroit and its incredible architecture is what first got Ryan into photography. Over the years, Detroit has been his favorite muse and the backdrop for much of his work. Ryan enjoys capturing the beauty of Detroit and showing a different side to the city that many aren't exposed to. The work in the Prints + Stock tab represents only a small portion of Ryan's Detroit portfolio. If you are looking for something specific that you don't see in the gallery, please reach out! Ryan likely has something in the archives to suit your needs, or he can work with you on a custom job. Most of Ryan's fine art prints sell to people or businesses seeking to enhance their spaces with original Detroit artwork. Prints can be purchased in a wide range of sizes from 8x10 to 24x36, with options for canvas printing as well. If you are looking for something larger or with a non-ftraditional finish Ryan can provide custom pricing. Ryan's Detroit photography has been used commercially over the years, showing up large on billboards off of I-94 for Comerica Bank or as small as iTunes Album Art for Eminem's Relapse album. Currently you can find some of Ryan's large format work inside an auditorium at Henry Ford Hospital or in large printed and wrapped form at Wolfgang Puck's restaurant at MGM Grand Detroit. 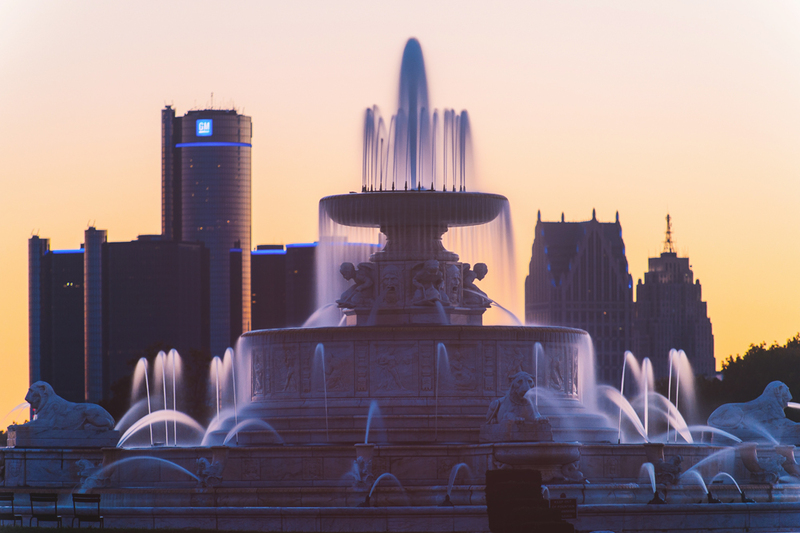 If you are looking for a vivid testament to "place" that will make a splash, be sure to browse Ryan's stock gallery for Detroit Photographs.